We are just over the halfway point of Edie being away at camp. She’s been gone exactly 11 days. We got one letter the first week she was gone. She has since mailed two more notes and a list of things she needs sent, ASAP. Four pieces of mail, one “I miss you” in the bunch. 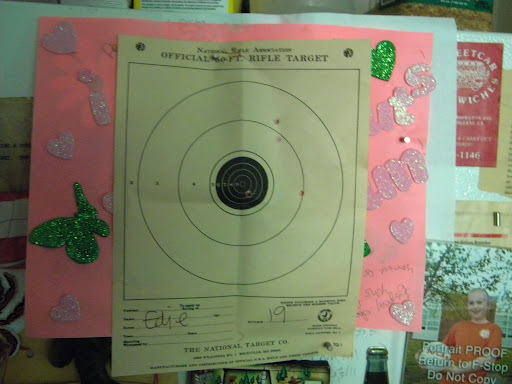 One of her target practice sheets. 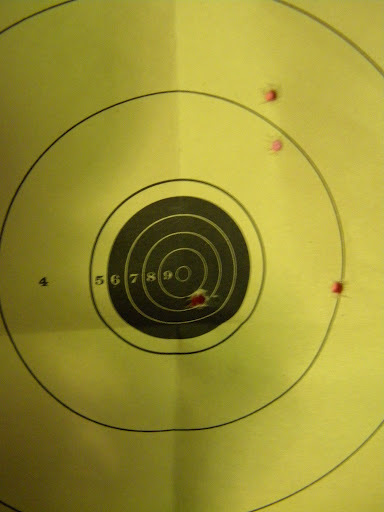 Not a bad little shot, is she?